the Newton's Nook Designs blog! This Biweekly Challenge was a COLOR Challenge! 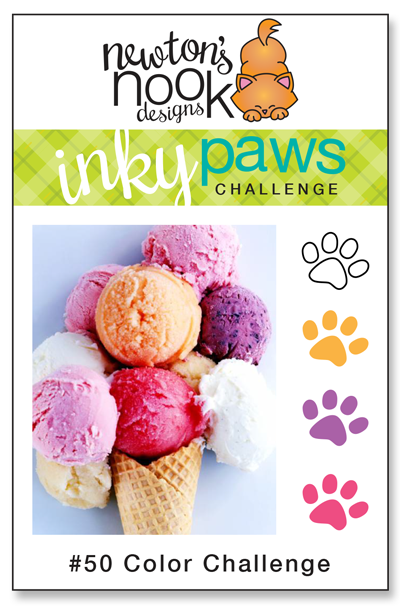 Inky Paws Challenge #68 Winner! 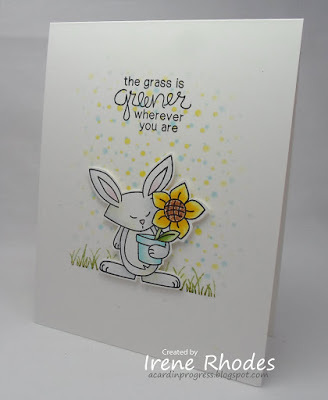 Irene's clean, simple design showcases the challenge wonderfully using Garden Whimsy (retired). I love her splattered background. 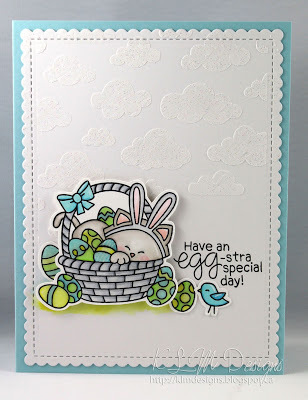 Krysta's lovely Easter card is so sweet with those clouds from Cloudy Sky stencil. 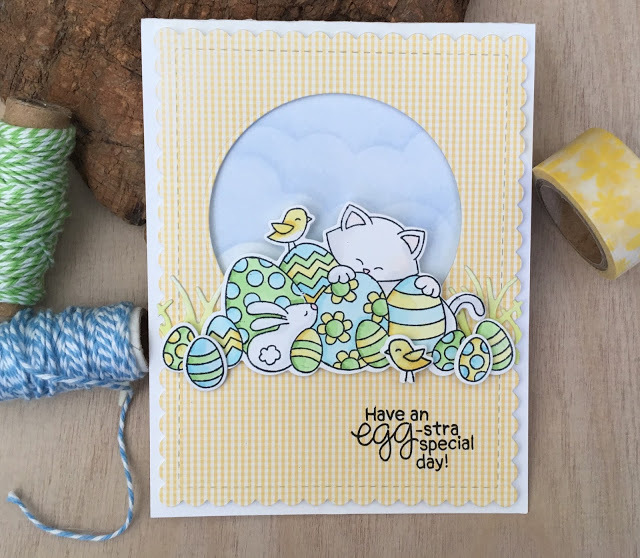 We love how she softly colored the bunny-kitty from Newton's Easter Basket stamp set. What a delightful card! 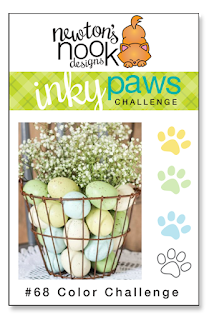 Sue T. creates this darling Easter scene using Newton's Easter Basket stamp set. Her light blue cloudy sky and yellow gingham paper are perfect touches to this sweet Easter card! Milene designs this amazing card using Newton Dreams of Italy stamp set. 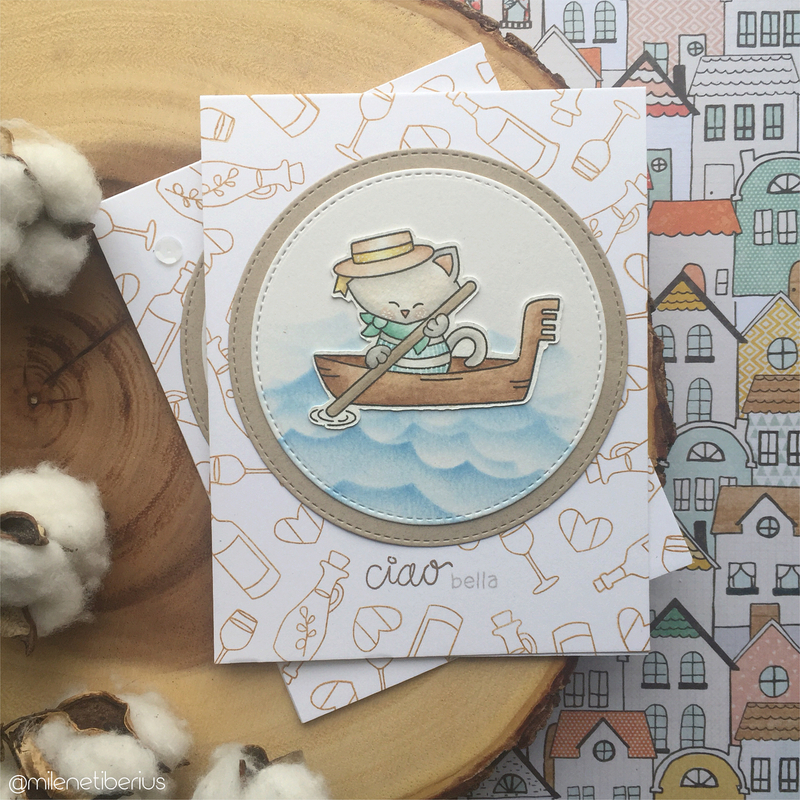 We love her stamped background and the water! What a wonderful use of the challenge colors! 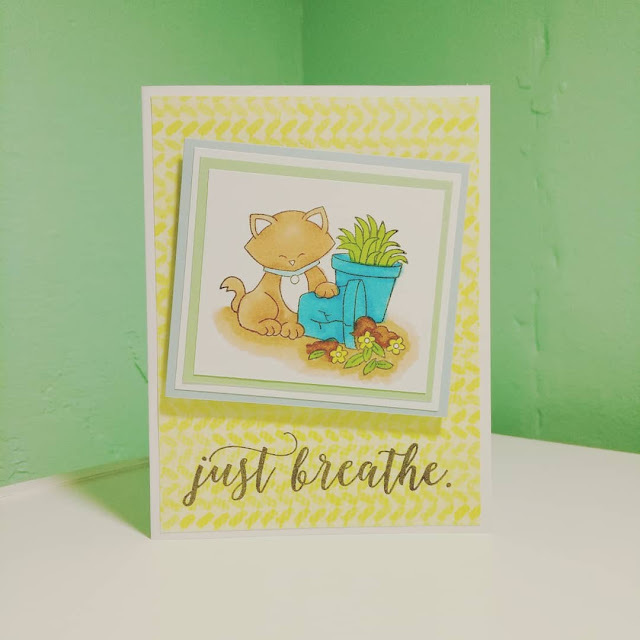 Billie's fabulous yellow background and sweet coloring endeared this card to us. Using Naughty Newton stamp set, Billie colored this Newton image with a sentiment that works perfectly! Candice uses Love & Chocolate stamp set for this very artistic card. 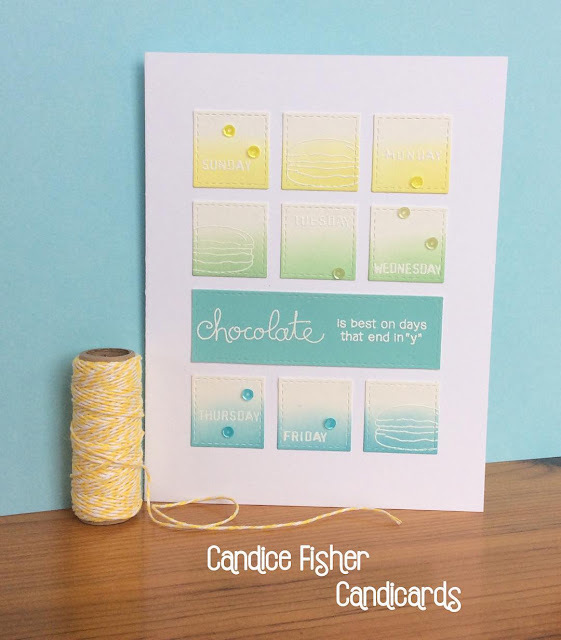 We love how she uses the challenge colors with the white embossing! I would love to put the favorite badge on my blog but not sure how I get it. Thanks again for the boost of confidence! It really makes my week! Congratulations to everyone, your cards were fantastic. Thank You NND, I would love to put a favourite badge on my crafty blog! Thanks again for the shout out!! Yay!!! Thanks for the shout out :D congrats Irene!